This February kids at Eastwick Library had lots of fun celebrating Black History Month, as black history took center stage. Children and parents browsed through our book displays and biographies section to find many great books on African Americans! 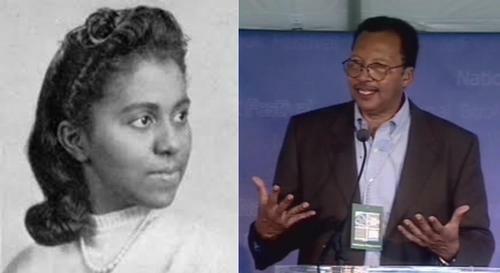 Our outstanding LEAP team helped a lot of students with computer research, posters, and school projects, while writer Walter Dean Myers and chemist Marie Maynard Daly were the focus of two special programs! Walter Dean Myers has an incredible volume of over one hundred children’s and young adult books about African Americans! He has won numerous major book awards including multiple Coretta Scott King Awards. He worked his entire life to expose and challenge the inequality of the publishing industry and their practice of publishing almost exclusively white books. He promoted and championed African-American authors and their works. 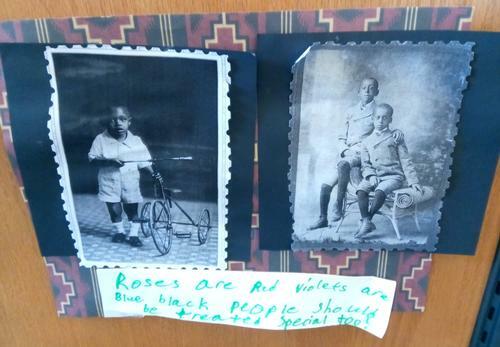 Children listened to selections from Walter Dean Myer’s poetry book Brown Angels: An Album of Pictures and Verse and made an inspired collage during our "Walter Dean Myers Poetry Collage" program! Marie Maynard Daly’s accomplishment as the first African American woman to receive a Ph.D. in chemistry in America made her a great choice for Black History Month! She discovered the link between high cholesterol and clogged arteries, leading to a better understanding of heart attacks. She studied the effects of sugar on arteries and the effects of cigarette smoke in lungs. She established a scholarship fund for African-American students at Queens College, in honor of her father, who emigrated here from the West Indies and enrolled in Cornell University to study chemistry but had to drop out because he could not pay for it. She wanted to support higher education for African Americans. 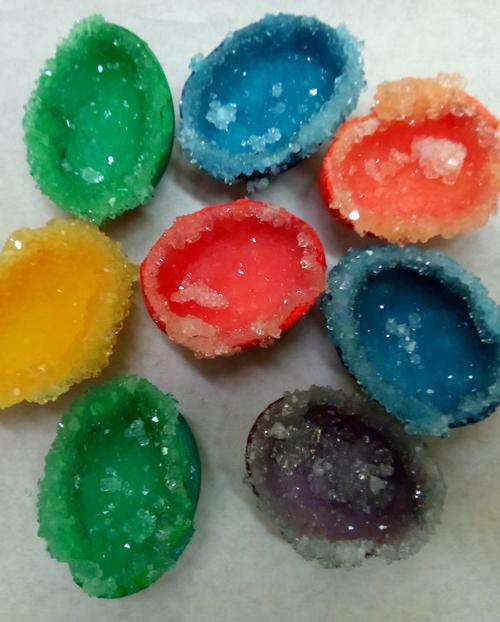 During our "Marie Daly Maynard Chemistry Fun" program, children learned about oxidation as they made secret messages with lemon juice, crystallization as they made geodes with alum and eggshells, and solubility when they made "Vanishing Ghosts" with starch peanuts and water! Information on black inventors and scientists was in the highest demand. Muhammed Ali, Rosa Parks, Ruby Bridges, and Harriet Tubman were also popular choices. Children were excited to read about lesser known African Americans as well, like Wendell Scott in the book Wendell Scott Racing Against the Odds: The Story of Wendell Scott, Stock Car Racing's African-American Champion and Jimmy Winkfield in the book The Last Black King of the Kentucky Derby: The Story of Jimmy Winkfield. We look forwarding to planning more great Black History Month programming next year! Geodes made out of eggshells and alum during our Marie Maynard Daly Chemistry Fun children's program.